DTA/Jenny Morris 2018 Australian Public Service [APS] win award for DIVERSITY AND GENDER EQUALITY. Jenny Morris, WFEA Founder and Chair, is also a very experienced business mentor and coach. In fact it was her work in the corporate sector to improve conduct and behaviour, that led to her be inspired to set up Women for Election in Australia. 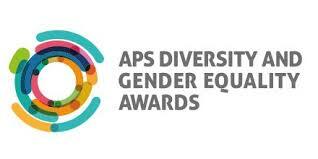 One of her mentoring and coaching programs in Canberra, with the Digital Transformation Agency (DTA), has just been recognised and awarded the 2018 Australian Public Service [APS] Award for DIVERSITY AND GENDER EQUALITY. We thought WFEA supporters would be interested to this short video on how the program is inspiring women to step up.